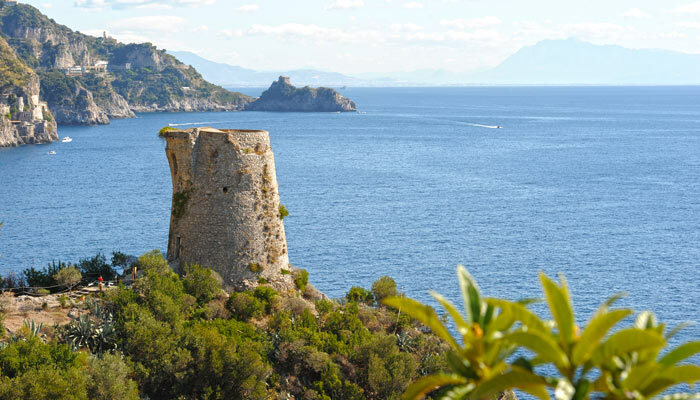 Rooms overlooking the sea, parking, breakfast, private access to the sea and solarium. 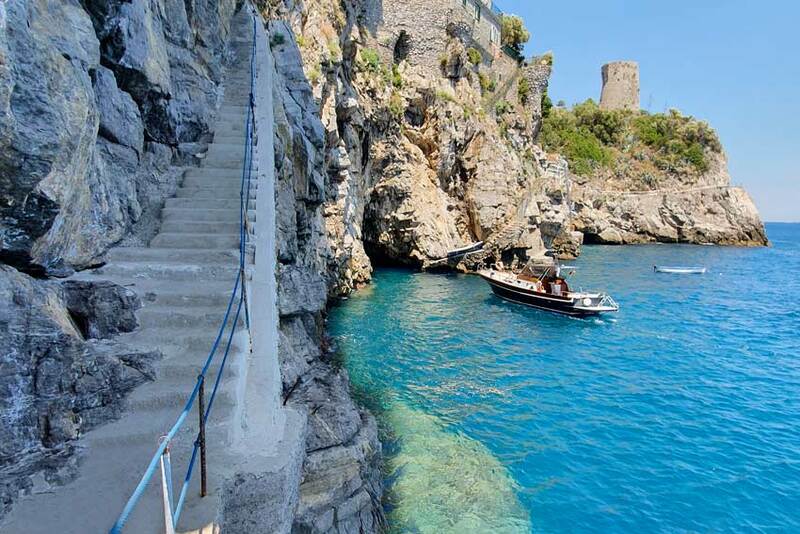 Open all year, Hotel Torre Saracena, in Praiano, on the Amalfi Coast offers best hotel room prices and convenient hotel rates. possibilities of half-board at lunch or dinner. Hotel rates does not include: city tax € 1.50 per adult per day and parking € 10,00 per day. 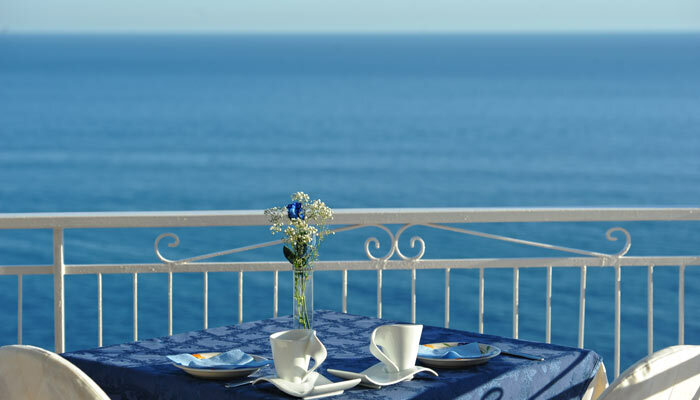 All rooms have sea views and they are equipped with terrace overlooking the sea, private bathroom with shower, minibar, air conditioning, TV, direct dial telephone, free Wi-Fi, private terrace overlooking the sea. 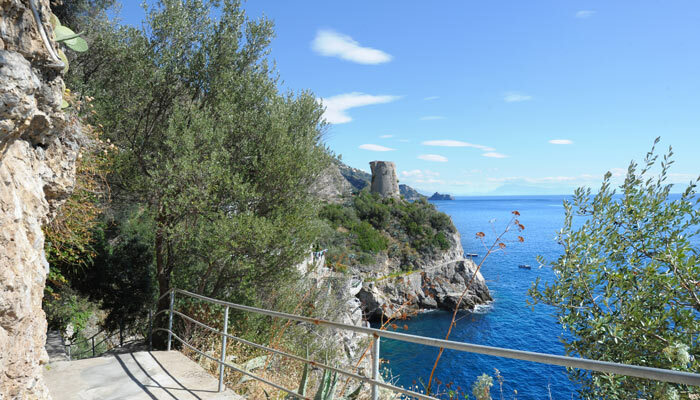 For those who choose the half board, lunch or dinner at the restaurant “La Locanda Del Fiordo”, 1.5 km away from the hotel, with complimentary shuttle service. Any details relating to reservations and choices, conditioned to availability, please should be agreed directly with the hotel management. 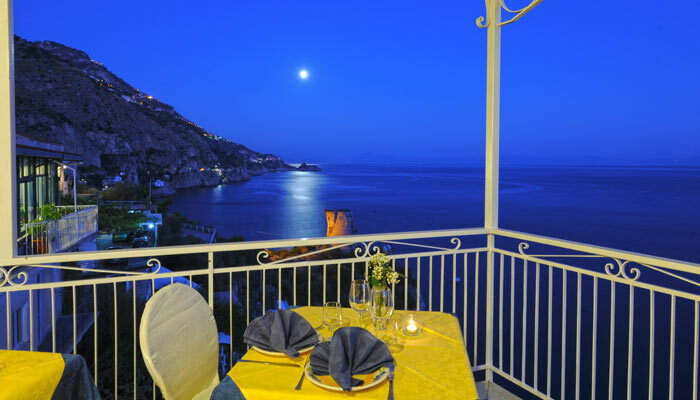 Overnight in a double room with sea view terrace and half board (breakfast buffet- Lunch or dinner) at the restaurant “La Locanda Del Fiordo”, round-trip taxi transfers from the airport or train station in Naples, Salerno, excursion to Capri (full day), including taxes, excluding beverages.